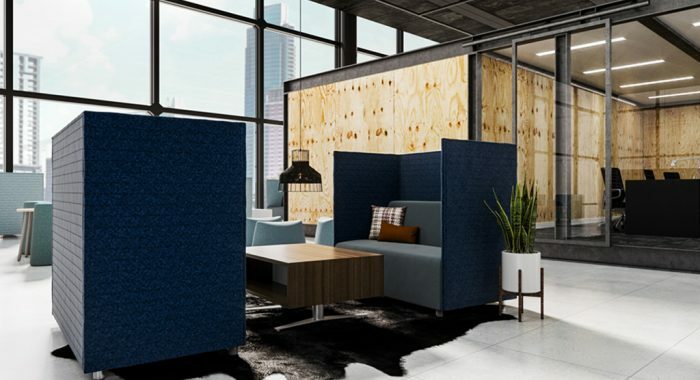 Over the past few years, we have seen enormous growth and interest in the open office concept here at 1 Source Office Furniture. More and more CEO’s have taken down the walls that divide employees, and instead, seat everyone at open, benching-style workstations. 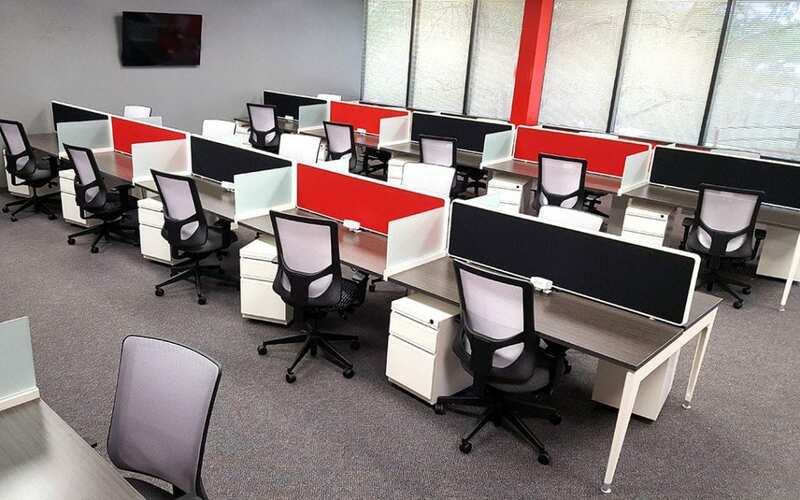 Benching workstations allow for a truly open and agile work environment. 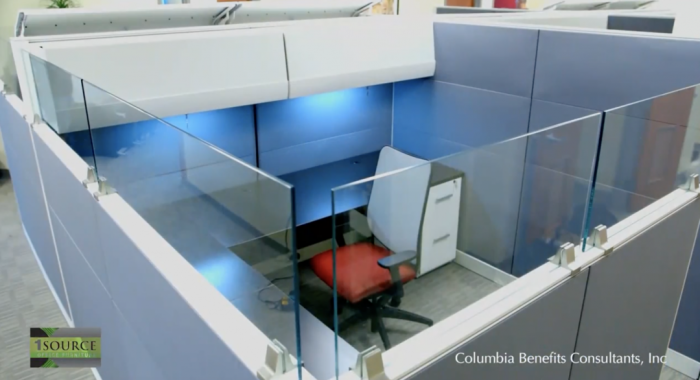 When teams need an open, collaborative work space, benching systems are a great option because you can see and talk to your co-workers. If possible, keep a couple of small walled-in offices or “phone booths” for employees to have private phone calls. So what are benching workstations? 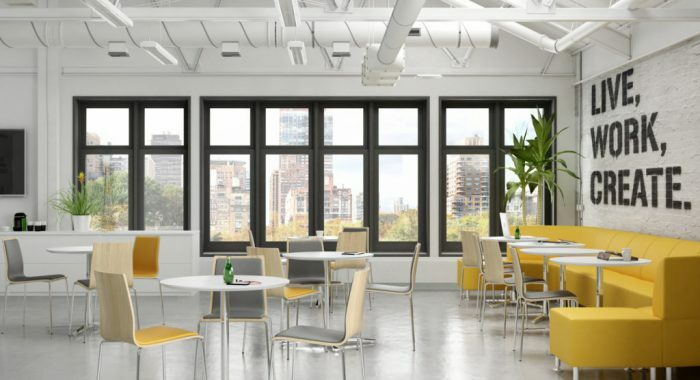 The design consists of long, shared work-surfaces supported by straight or angled legs, and there may be small desktop partitions between each person. Additional work-surface is available with returns, if there is ample space to add them. Every desk typically gets a pedestal file (with optional upholstered seat) for personal storage within reach. In benching systems, each and every detail lends functionality to the work space: The short privacy panels can be tackable or writable surfaces–all in all, a great place to brainstorm ideas! 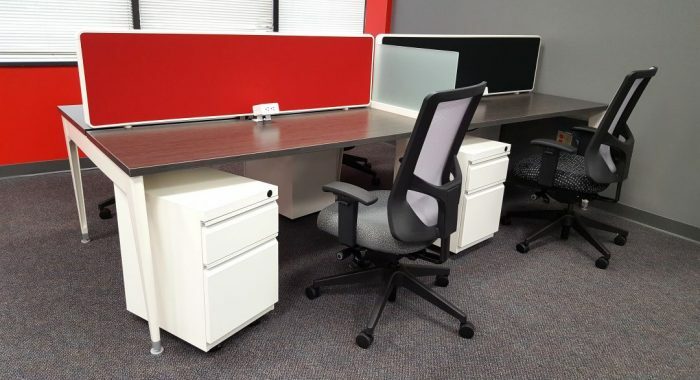 Clusters of benching workstations can be color coordinated with your company’s logo colors: We did tack-boards in alternating red and gray for a transport broker recently in central Florida. The look is very vibrant with the red and gray logo colors at desk height throughout the office. Another option is to give each team their own color, carried through on the tack-boards, the pedestal seat, and even on their task chairs. Managers can let teams pick their group’s color and see how much they use it! We can add power and data to benching workstations by dropping power poles from the ceiling or by bringing power from the wall. The workstations have a trough built into the spine so that power can run to every person. Our installers love the simple integration of power and data in Open Plan Systems (OPS), our premier source for benching workstations. Some benching systems, such as the Expand System by OPS offer adjustable height surfaces so that employees can set their preferred height for sitting or standing to work. 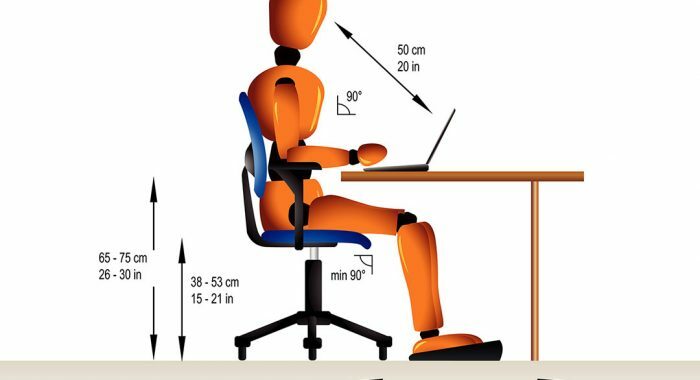 The adjustable surfaces give employees a more personalized and ergonomic work space. 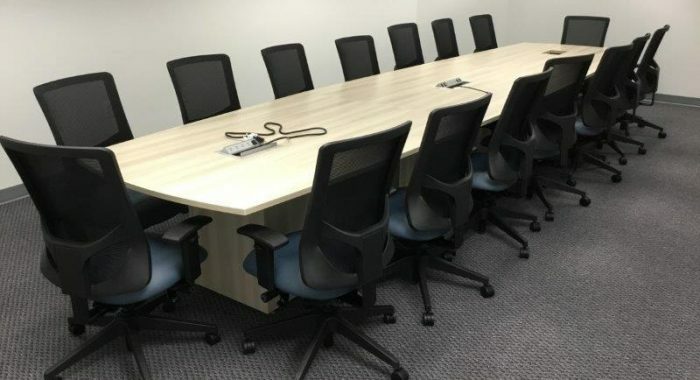 Some of the advantages with benching systems furniture are clear: 1) It has a minimalist, modern look; 2) More workers fit at benching than in walled workstations; and 3) The pared down look is cost effective. Additionally, there is a trend to go paperless, which means that fewer files are needed. Regarding #2, employees today are happy to accept a smaller “office” in exchange for the flexibility to work remotely, giving them more freedom for a better work / life balance. At 1 Source, we suggest benching workstations when there is a need for teams to work together on projects and to have impromptu meetings. So, benching is a good choice for the following types of businesses: Graphic design, advertising, technology, printing and signage, event planning, and call centers. In businesses (or departments) where privacy is required, we would recommend either monolithic or tiled workstations. Still not sure about benching systems? Give us a call and we will figure out the best type of workstation for your office: (410)982-7032.